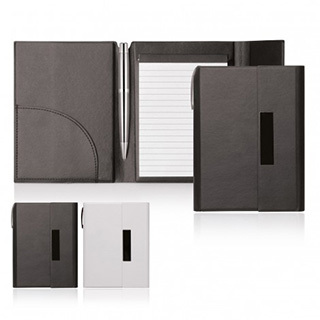 This elegant notepad folder comes with a smooth soft finish and a touch of style for your next executive promotion. Printed or laser engraved with your corporate logo it will look great and make a fine gift. Notepad can be replaced by standard size refill. Pen not included.